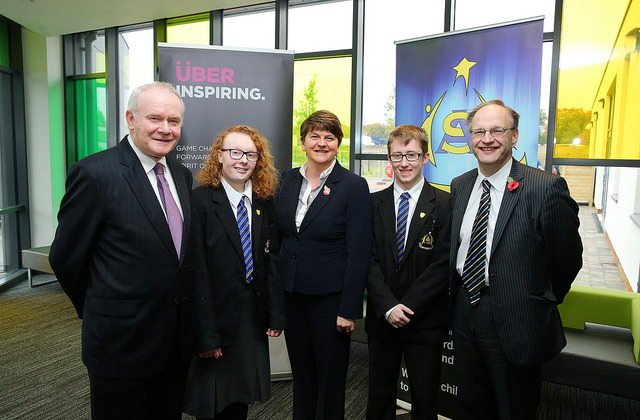 First Minister Arlene Foster, deputy First Minister Martin McGuinness & Education Minister Peter Weir pictured with Head Boy Ethan Treacy & Head Girl Derbhla Brogan at opening of Arvalee School & Resource Centre in Strule Shared Education Campus, Omagh. 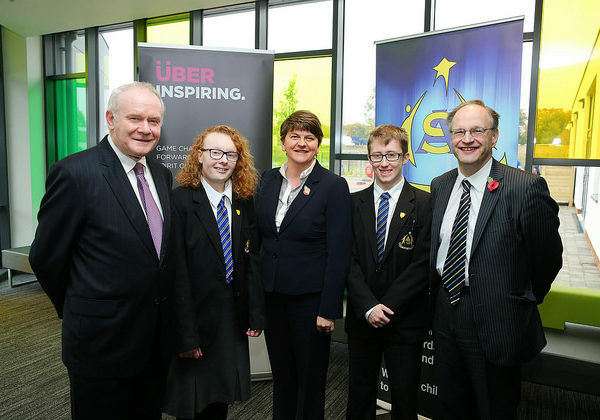 First Minister Arlene Foster, deputy First Minister Martin McGuinness & Education Minister Peter Weir pictured with pupils Chantelle Salaja & Calvin Hamilton at the opening of Arvalee School & Resource Centre in Strule Shared Education Campus, Omagh. 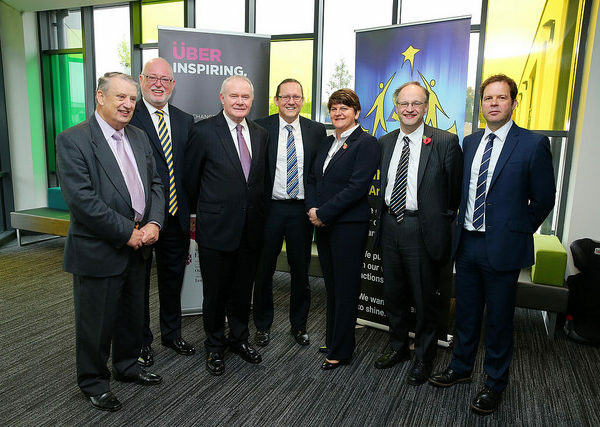 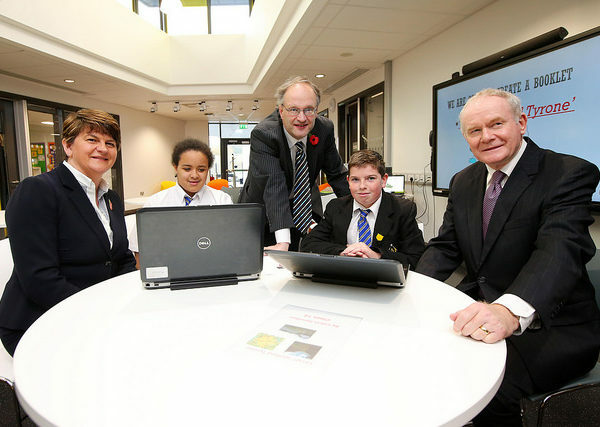 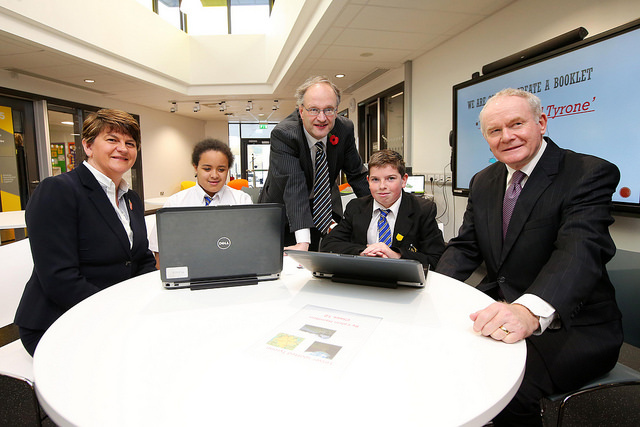 First Minister Arlene Foster, deputy First Minister Martin McGuinness and Education Minister Peter Weir pictured with John Hall, Chair of Board of Governors, Gavin Boyd, CEO of the Education Authority, Jonathan Gray, School Principal and John Smith, Deputy Secretary, Department of Education, at the opening of the Arvalee School & Resource Centre in Strule Shared Education Campus, Omagh.